National Conference (NC) supremo Farooq Abdullah on Tuesday said that while National Investigative Agency (NIA) has probed funding of separatist group and involvement of Pakistan in the same, it must also investigate whether the Indian government ever funded them or not. 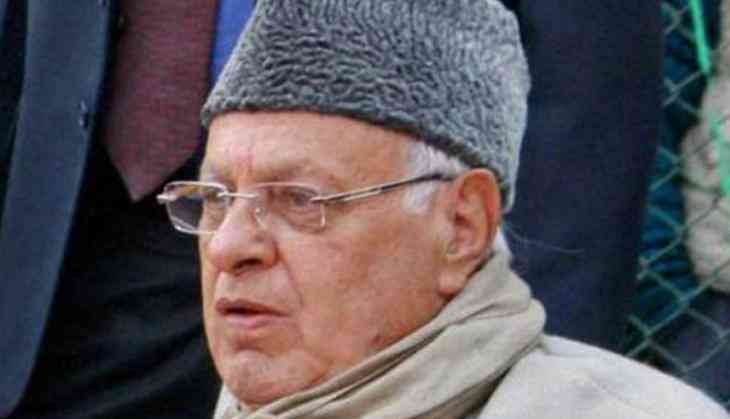 Farooq Abdullah told ANI, "I congratulate NIA for its probe on funding of Hurriyat leaders. From where the money has came and how it is been utilised we will get to know that soon. One fact should also be investigated if Indian Government funded Hurriyat or not." The central probe agency yesterday arrested seven people, including the son-in-law of separatist leader SAS Geelani, for allegedly funding terror groups in Kashmir. The seven are Altaf Shah, Ayaz Akbar, Peer Saifullah, Mehraj Kalwal, Shahid-ul-Islam, Naeem Khan and Bitta Karate. The seven separatists include Naeem Khan, Bitta Karate, Altaf Funtus, Ayaz Akbar, T. Saifullah, Meraz Kalwal and Saheed Ul Islam. The arrested Hurriyat leaders were brought to the headquarters of the CBI in Delhi yesterday. All the seven of them were produced before the Patiala House Court today.